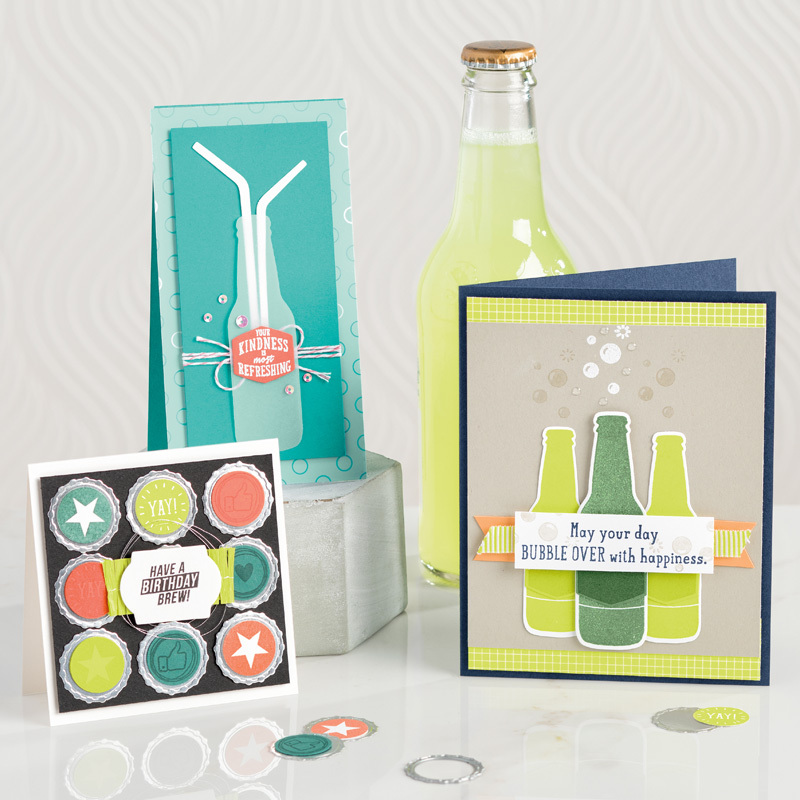 The Bubble Over bundle is another new, hugely versatile set in the Occasions Catalogue (page 32). This is a card we made at Melbourne Onstage. The bottles can be changed up to suit your favourite beer, soft drink or team colours. And see that beautiful paper? You can earn that FREE during sale-a-bration. Trust me you need to stock up on this!! 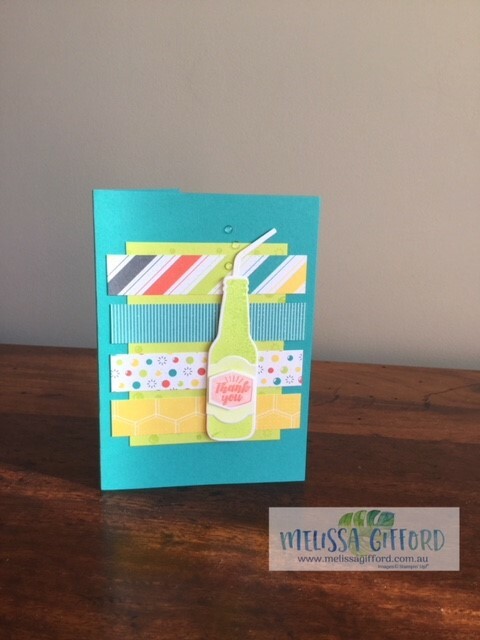 I love how this card uses strips of the different patterns. 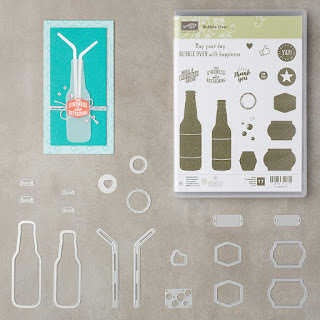 Firstly it shows all the different patterns and colours and secondly it is also a brilliant way to use up any scraps of paper that you have so nothing goes to waste. I love that! 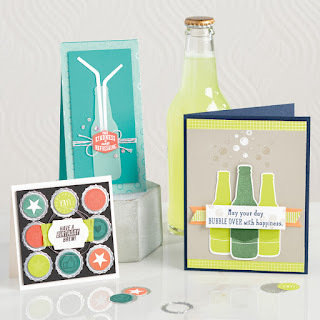 The matching bottles and bubbles framelits dies make these cards so easy to mix and match with different sentiments, tags, bottle tops, bottles and straws. Such fun! And did you notice the little epoxy bubbles? These are called glitter & clear epoxy shapes and come in teardrop and circle shapes, just perfect for drinks. Head over to my ONLINE STORE to get yours today! Remember when your order reaches $90 you can select the designer series paper for FREE and there's no limit on how many free items you can earn.